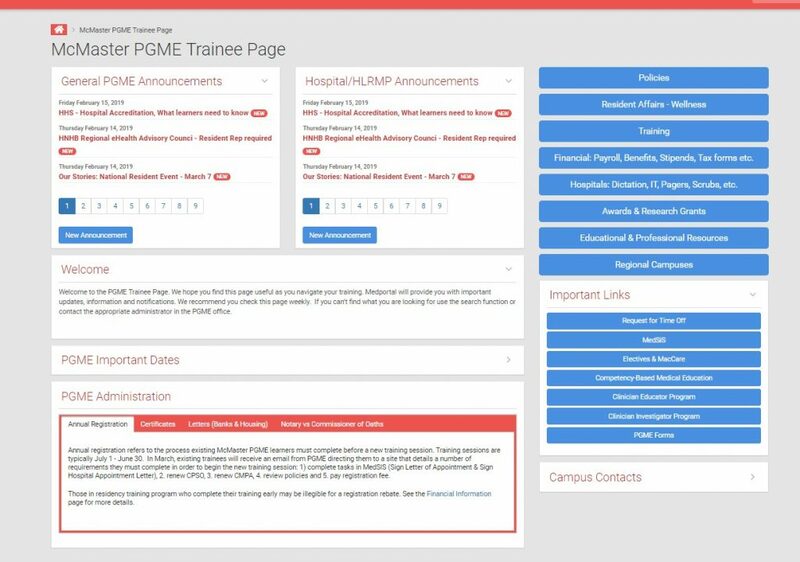 McMaster PGME has worked to update medportal to ensure it is a one-stop information centre for current learners. Medportal is McMaster PGME communication tool that helps to guide current learners through their training. Whether they are looking for policies, wellness resources or important dates; learners can find it on Medportal. Important announcements from the PGME office, hospitals and other stakeholders are posted in the announcement section. Current learners are reminded of the importance of visiting Medportal often to ensure they are aware of all the information that impacts their training. We strongly recommend checking Medportal once a week.